Some mail were never supposed to sent, while other were sent to the wrong address. The new Undo Send feature might prevent these things from happening to Gmail users. The new Undo button will put messages on hold for five seconds, giving users enough time to cancel a wrong action. "Sometimes I regret sending a message the morning after. Other times I send a message and then immediately notice a mistake. I forget to attach a file or email the birthday girl that I can’t make her surprise party. I can rush to close my browser or unplug the Internet — but Gmail almost always wins that race. […] My theory (which others shared) was that even just five seconds would be enough time to catch most of those regrettable emails. This feature can’t pull back an email that’s already gone; it just holds your message for five seconds so you have a chance to hit the panic button. And don’t worry – if you close Gmail or your browser crashes in those few seconds, we’ll still send your message." 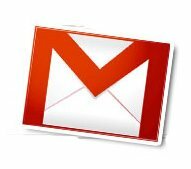 Users willing to try out the new feature will have to go to Settings in Gmail Labs and turn on Undo Send. Congratulation, you’ve just gained a panic button.